I know this is a few days late (the Superbowl was Sunday, after all), but I had to come right off the fun and pull a double, so here it is now. This past Sunday, I threw a small Superbowl party for a few of my friends and family. It was a lot of fun, but to spare my sanity I took a semi-homemade approach to the party. The first “homemade” part of the night was the chipotle chicken wings. It’s a recipe from Bobby Flay’s Grill It! cookbook that I’ve made before and really, really enjoyed. The original recipe calls for grilled wings, but since it’s February in New Jersey, I baked the wings instead. They were still delicious. For anyone that doesn’t know, a chipotle pepper is a smoked jalapeño. It’s a bit spicy and quite smoky. You can find them canned in the grocery store in adobo sauce. The recipe calls for pureed chipotles–I used my bullet blender to puree them quickly and with minimal mess. It took about 30 seconds. It also calls for ancho chile powder. An ancho chile is a dried poblano and also takes on a bit of a smoky quality, but it, too is on the milder side of the chile spectrum. 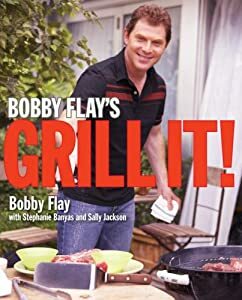 Courtesy of Clarkson/Potter Publishers and Bobby Flay's "Grill It!" The recipe also includes a step for trimming and dividing the wings, but I didn’t need to take that step. I used a combination of frozen wings and packaged fresh, divided wings. Both were from Perdue and had no added hormones or chemicals, and both saved me a lot of time! 2. 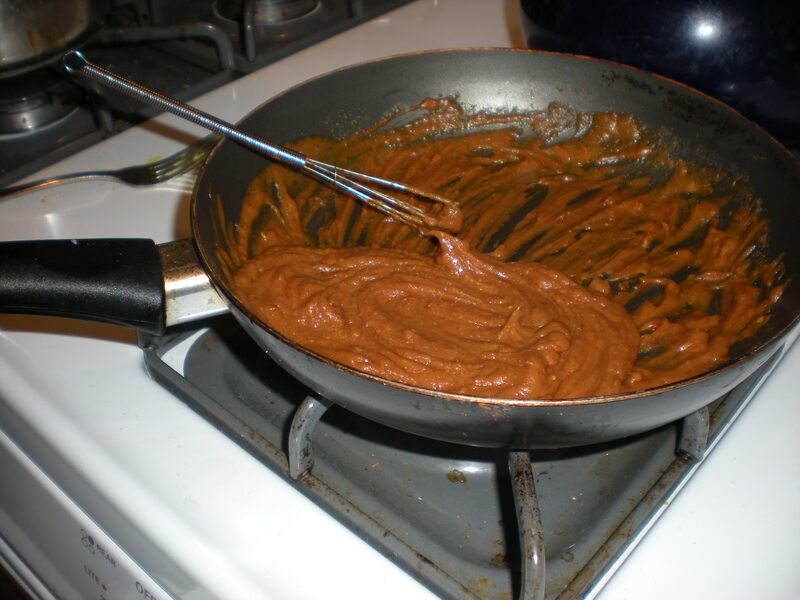 Whisk together the honey, chipotle puree, mustard, 1 tablespoon of the ancho chile powder, 1 teaspoon of salt and 2 tablespoons of the oil in a small bowl. Divide the glaze evenly between two bowls–a small one for brushing the glaze and a large one for tossing the wings later. 3. Stir together the remaining 3 tablespoons of ancho chile powder with the coriander, cumin and paprika in a small bowl. 4. Rinse the chicken wings under cold water and pat dry with paper towels. Cut the tips off the wings if necessary and discard (or freeze and use for chicken stock.) Cut each wing into two pieces through the joint, if necessary. 5. Place wings in a large bowl, add the spice rub and the remaining 2 tablespoons of oil and toss to coat. Season with salt and pepper and place wings on a baking sheet in an even layer. Bake at 400 degrees for 10-11 minutes until golden brown. Turn wings over and brush with the small bowl of glaze. Place wings back in oven for 15-20 minutes, brushing with the glaze every few minutes and turning once during the last 10 minutes of cooking. 6. Remove wings from the oven, toss with the remaining glaze and place back on the baking sheet. Turn the oven to broil and broil the wings until glaze caramelizes and the skin is crispy. 7. Sprinkle with toasted sesame seeds and sliced green onions. *To toast sesame seeds: put a single layer of seeds in a frying or saute pan and toast over medium-low heat, shaking the pan every couple of minutes to prevent burning, until lightly golden brown and fragrant, 5 to 7 minutes. Transfer to a plate and let cool completely. 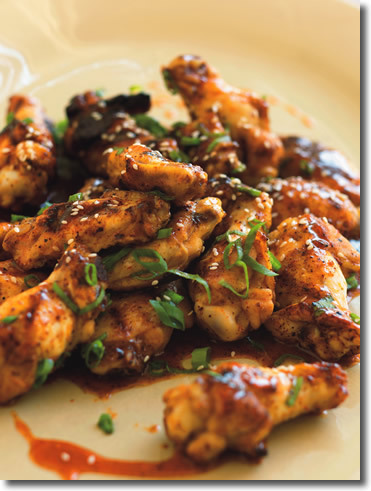 Make ahead: Follow the recipe up through Step 5, then put wings aside or refrigerate. Before serving, reheat wings in the oven at 375 degrees, then broil. My boyfriend Kevin also made his “famous” pizza, which is a semi-homemade masterpiece. It uses store-bought or pizza shop dough (you can walk into pretty much any pizzeria and ask for their dough. They’ll usually sell it to you for just a few dollars, and if you know it’s a good pizza place, you know you’re getting good dough. ), jarred tomato sauce and a store-bought shredded mozzarella mix. Of course, you could certainly make the dough and sauce from scratch and shred your own cheese, but this way is quick and still yummy. Preheat oven to 375 degrees. Pat out pizza dough as per instructions on the package and stretch onto a baking sheet. Bake for 2 minutes to par-bake the crust. Remove from oven, spread with sauce and sprinkle with cheese. Add any spice you desire (oregano, garlic, basil, rosemary, Italian spice blend, etc.) Add any toppings you would like, as well (pepperoni, mushrooms, sausage, peppers, the list goes on.) Bake pizza at 375 degrees for 12 to 18 minutes or until you start to smell the spices. Remove from oven and let cool at least five minutes before cutting into slices. In addition to some store-bought snacks and desserts and plenty of beer, I made one signature cocktail for the game–Giants blue margaritas. (I’m from New Jersey; it’s no secret who we were rooting for.) The blue color can be off-putting, but this recipe uses no food coloring, just orange-flavored blue liquor in place of the usual orange-flavored triple sec, so the taste is very similar. When I usually make margaritas I use pineapple juice as a sweetener, but the yellow juice would have turned the color green, so I had to come up with a clear alternative in the form of lemon-lime soda. It also added a bit of fun effervescence. Mix all ingredients together in a pitcher or shake together in a glass and add agave syrup to sweeten to taste. For a large group, my one part was 1 cup. For individual margaritas, one part can equal one or two ounces. In that case, the recipe would call for 2 ounces of tequila, 1 ounce of Blue Curacao, 1 ounce of fresh lime juice, 1 ounce of lemon-lime soda, 1/2 an ounce of Rose’s lime juice and agave to taste. If you want to make the same margarita but you don’t want it to be blue, simply substitute triple sec for the Blue Curacao. Like I said, this was inspired by the flavor profile of cilantro salsa. I’m not a fan of spicy drinks, though, so I do not add any jalapeños to my margaritas. If you like the heat, though, you can definitely shake a few jalapeño slices into the cocktail for the full pineapple salsa effect. If you like salt with your margarita, salt glasses as follows: on a small plate or saucer, pour a bit of Rose’s or fresh lime juice, enough to just cover the bottom of the plate. You can also run a small slice of fresh lime along the rim to dampen it. Cover the bottom of another small plate with Kosher salt. Dip the rim of the glass in the lime juice, then in the salt to cover the rim. Pour in your margarita and enjoy! A jar of spicy peanut butter, to be exact. 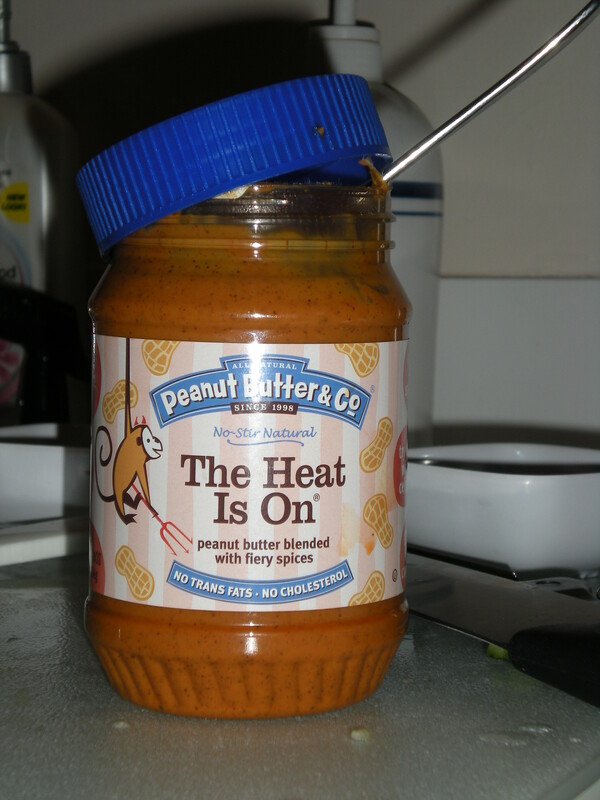 My mom bought Kevin a jar of Peanut Butter & Co. “The Heat is On” peanut butter as a stocking stuffer this holiday season, and ever since, I’ve been dying to make some kind of Thai-style peanut butter sauce with it. 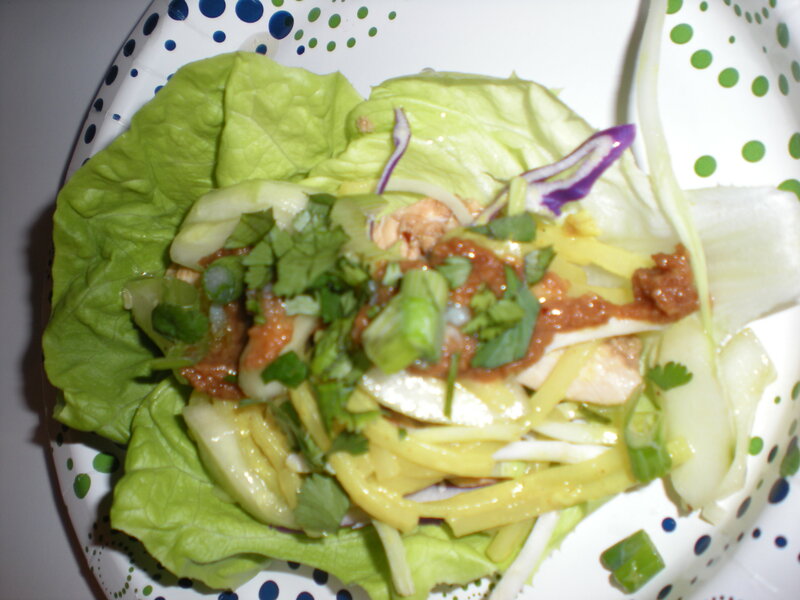 For many of these, I used recipes based on the actual lettuce wraps served at the restaurant. The rest I found on other Web sites, and some I tweaked. 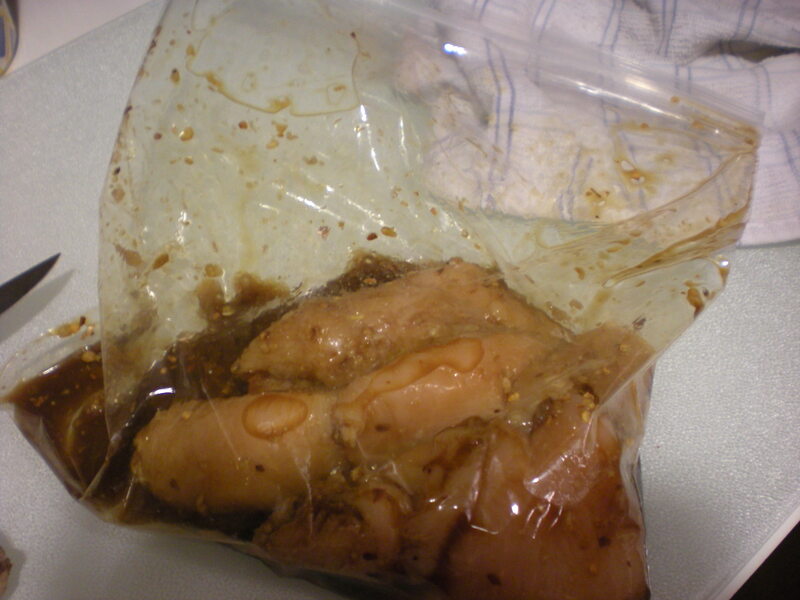 First things first, make the marinade for the chicken and let the it sit while you prepare other components. Pour all ingredients (except chicken) into a large shallow dish or large plastic zip-top bag. (I used the bag method.) Add chicken and stir or toss to coat. 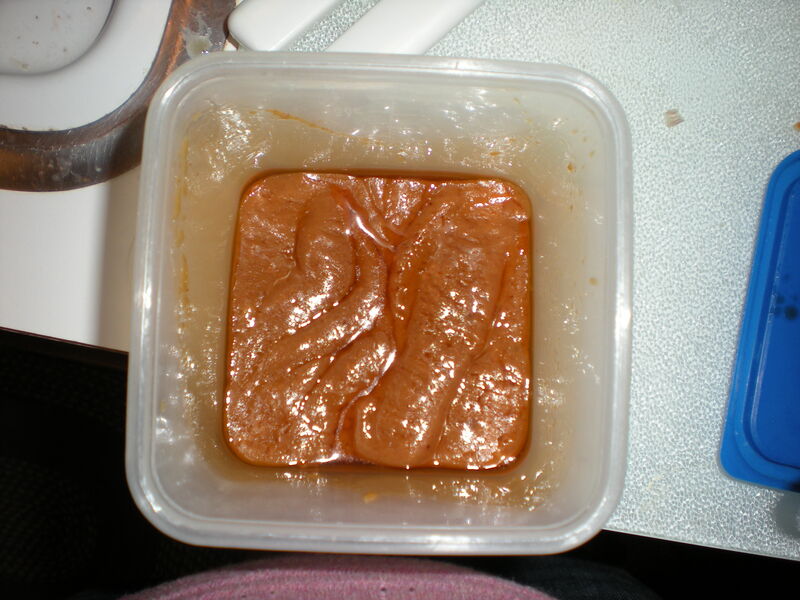 Set in fridge to marinate for at least 30 minutes. 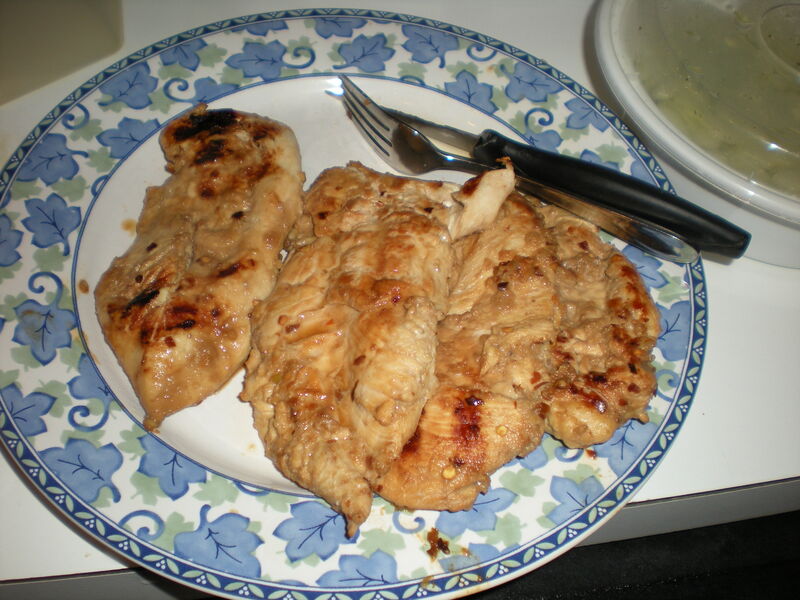 To cook, remove chicken from marinade and place on either a grill, grill pan or indoor grill (I used a George Foreman grill.) If you don’t have access to a grill, go ahead and cook in a pan. During cooking, brush or baste with extra marinade. If using a traditional grill or pan, turn chicken halfway through cooking (just a few minutes on each side, depending on thickness of chicken.) If using a George Foreman or some other kind of press, leave in to cook for about 5 minutes, or until completely white inside. Remove from cooktop and let rest for a few minutes before cutting into small strips. 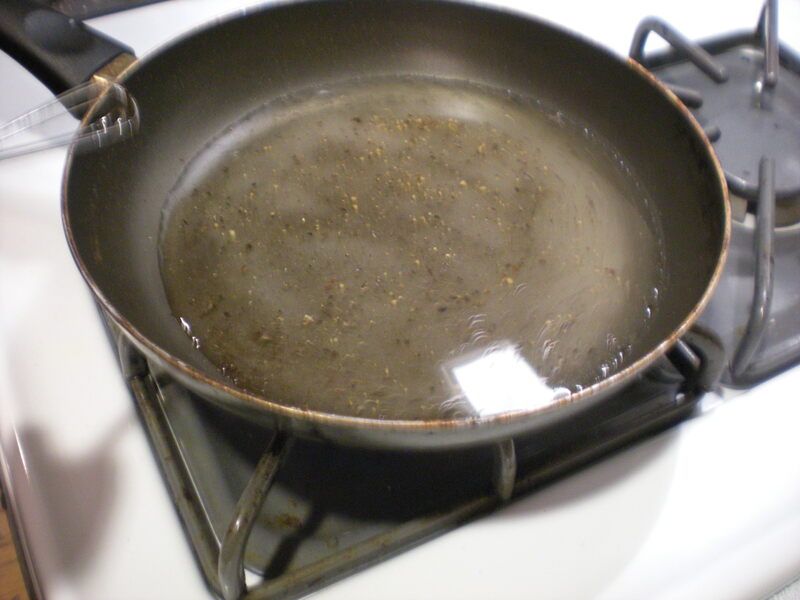 In a small pan, combine vinegar, sugar, water and salt; cook over medium heat, stirring, until liquid boils and sugar is dissolved. Remove from heat and let cool to room temperature. Peel or score cucumber, if desired and cut lengthwise into quarters; then cut quarters crosswise into 1/8-inch-thick slices. Place in a serving bowl, pour marinade over cucumbers; stir to blend. If made ahead, cover and refrigerate for up to 2 hours. The second time around with the new adapted recipe worked much better, though the sauce still thickened more than I would have liked as it sat and was not nearly as smooth as I expected. By the time we ate, it had only a slightly thinner consistency than regular peanut butter. It tasted great, but we had to spread it on the lettuce rather than drizzle it over. So, this is the adapted recipe I used, but I’m still searching for a better recipe for a smoother, thinner peanut sauce. (If anyone knows of one, please pass it along!) In the meantime, I’ll have to use trial-and-error. Combine all ingredients in a saucepan over low to medium heat. Continue stirring over heat until mixture is combined and smooth and thoroughly heated through. Remove from heat and transfer to serving bowl. 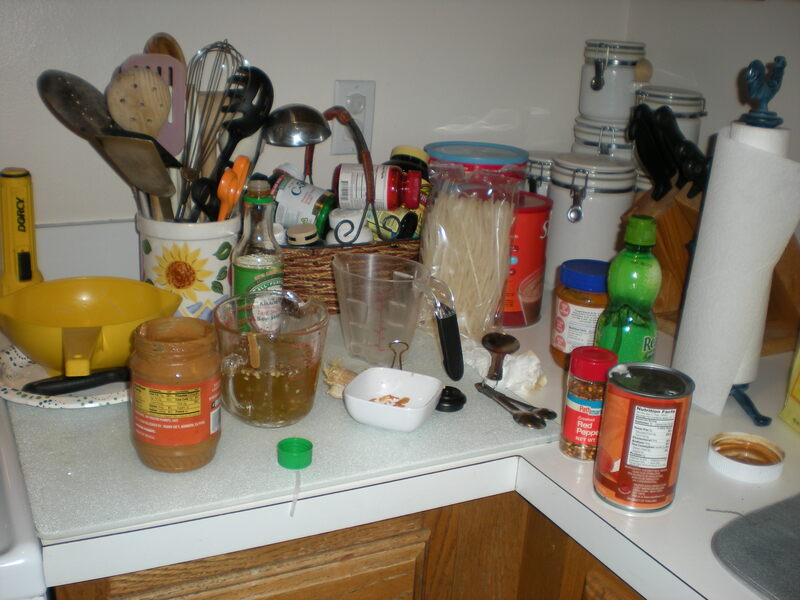 Of course, if you want this recipe less spicy or don’t have spicy peanut butter on hand (because, really, I know it’s not common to), use 4 tablespoons (or 1/4 cup) regular peanut butter and add spices if desired. Try chili powder or chili oil, garlic, cayenne, paprika, crushed red pepper flakes and/or ginger. The second sauce, the sweet chili sauce, was also a tweaked recipe. I couldn’t find any red hot chiles in the produce aisle of my supermarket or any plain red chili paste. So we bought one Serrano chili and one green long hot. 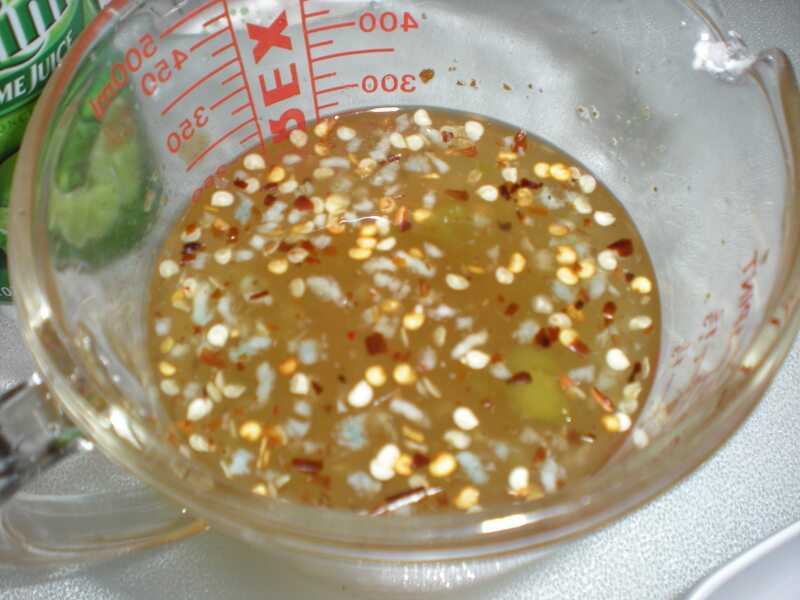 Most recipes also call for cornstarch as a thickener to create a more gelatinous texture, but we didn’t use it and created a more vinaigrette-style sauce. We grated down the chiles to create something almost paste-like and so there were no large pieces of chili since the original recipe I worked from called for chili paste. Combine everything except cilantro in a small sauce pan and mix. Once blended, bring to a boil, reduce heat and simmer about 5 minutes. Remove from heat, let cool and stir in cilantro. If you want the thickened sauce, add 4 teaspoons of cornstarch to the recipe with everything else in the saucepan. As it cooks down, the cornstarch will thicken the sauce to create more of a dipping sauce than a dressing. 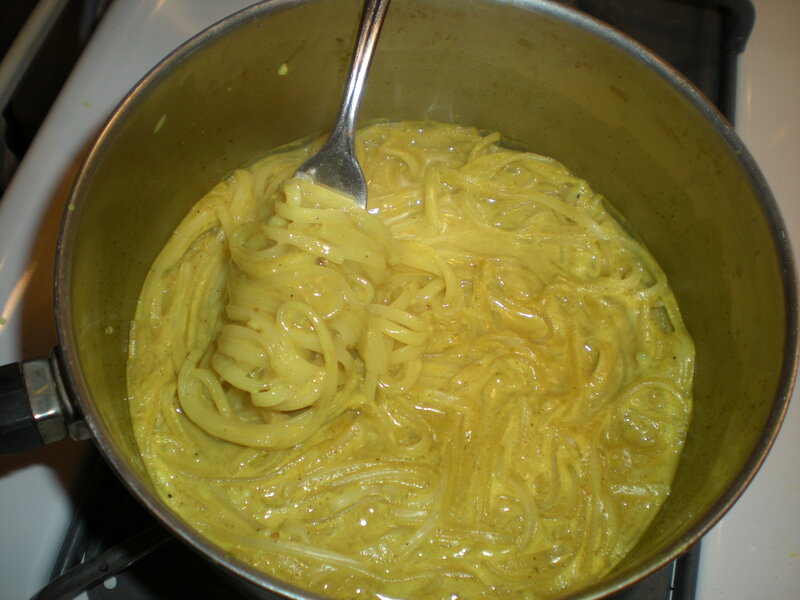 Finally, the last component of the dish is the coconut curry noodles. Again, I adapted this recipe by paring it way down, but it still came out tasty. I made mine with only part of the noodles in the package, but I ended up with way more sauce than noodles and they were a bit over-saturated, so I recommend using the entire package to create a more even noodle-to-sauce ratio. To serve the lettuce wraps, tear full leaves off of a head of Boston lettuce for the wraps and fill with the ingredients however you’d like. Add some bagged rainbow salad (carrot, broccoli, cabbage) or any other vegetables you’d like–bean sprouts, grated carrots and shredded cabbage would work well. 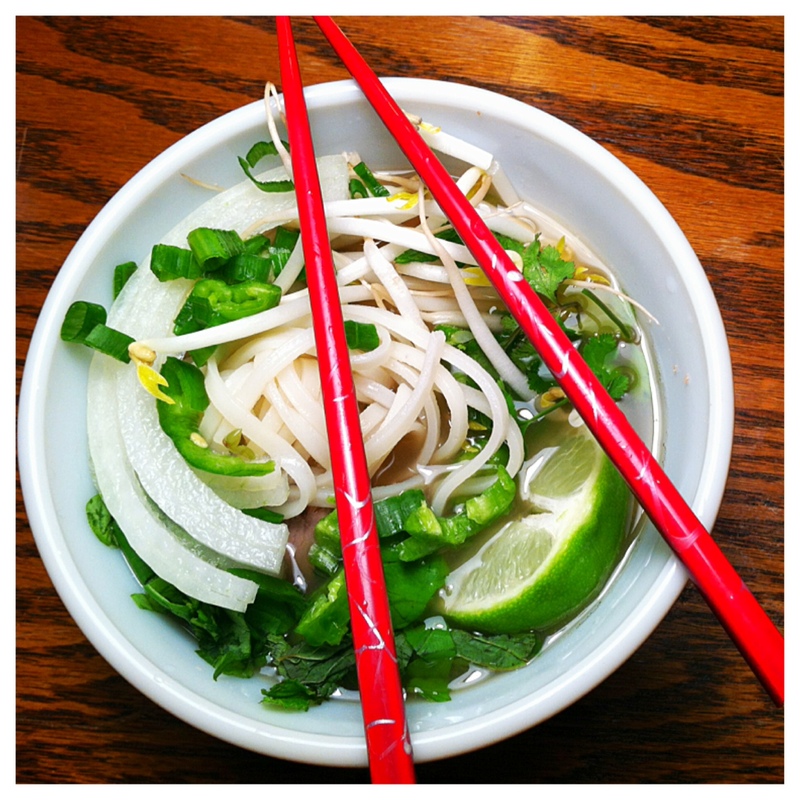 Chop plenty of green onions and fresh cilantro for topping. All in all, it took about two hours from start to finish, including remaking the peanut sauce. It was a lot of work, but so worth it in the end. All of the components of the dish work wonderfully together, and I really believe that is the point. Some of the parts tasted only okay on their own (I kept trying to figure out what the noodles were missing, and the sauces were pretty spicy) but when put together, magic. Crunchy, fresh, spicy, sweet and exotic. It was a lot of work and time, and I can still see the appeal of going out for Thai food, but it was definitely an experience, and when you consider the amount of leftovers I have (at least one or two more meals’ worth), the time involved doesn’t seem so bad. Also, some of the individual components can make good meals on their own–the marinated chicken would be delicious with just some veggies and rice; the cucumber marinade would make a great dressing. So go ahead and try making some Thai-style food at home. 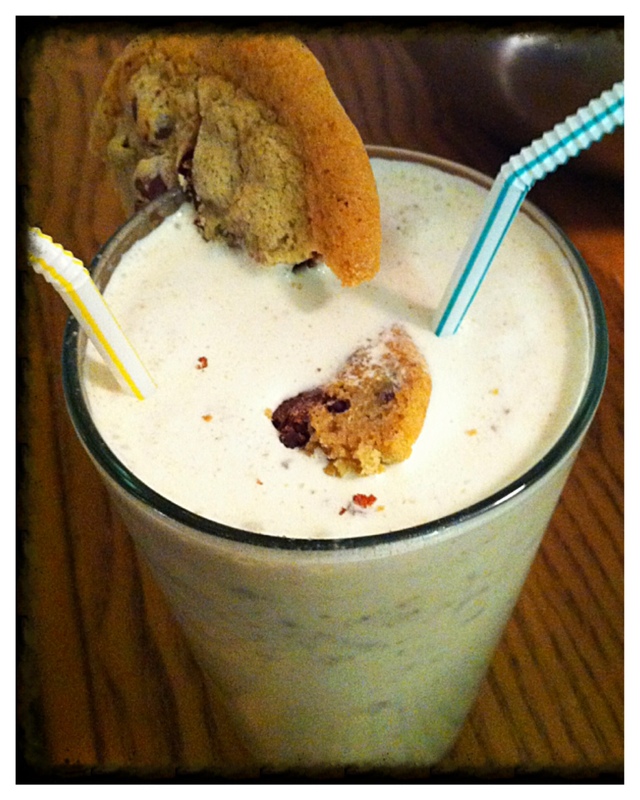 It’s refreshing, delicious and fun! ...to get this. The finished product. Yum!